This website has an email service that can be used by its registered users. 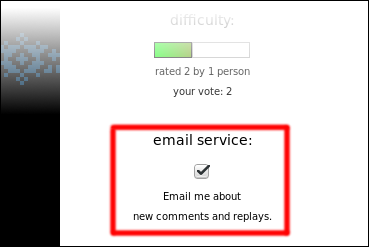 Users who subscribed to one or more mods will receive emails when comments and replays are added to those mods' pages. Subscribing is optional, and the default is no subscriptions. Users can subscribe to mods individually or to everything. This page explains how to view subscriptions and how to change subscriptions. To see your subscriptions, login and look at your profile. 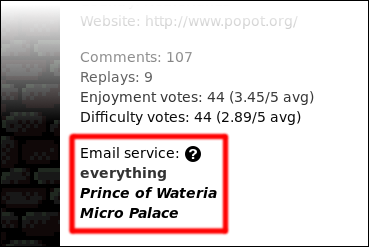 The example below shows a user who is subscribed to everything. The user also subscribed to two individual mods, but these subscriptions have no effect because the user already receives emails about everything. Users can (un)subscribe to individual mods and to everything. 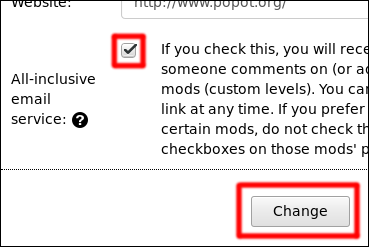 To (un)subscribe to individual mods, go to their pages and use the related checkbox. To (un)subscribe to everything, first go to your settings. Then use the related checkbox, and press "Change".